The release of the new Tamam Shud CD/Download “ Resonate” in December 2018 has paved the way for yet another great chapter in the story of “The Shud” for 2019 and beyond. Tamam Shud played a very important part as pioneers of acid-rock and progressive music in the late sixties and early seventies. For many years after their 1972 split from full time recording and performing, they were something of a cult, and original recordings are rare and collectable. The members of the band have stayed in touch quite regularly in the almost five decades since that early 70’s disbandment from live touring. This has led to some memorable recordings and select live performances over the years. 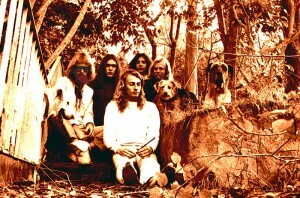 In 1994 the band recorded the album Permanent Culture, and the driving, bluesy single Stay, generated a significant revival of interest in this outstanding and original group. It also sparked interest in this classic band with younger listeners as well. The evolution of Tamam Shud was typical of many groups of the era, beginning as an instrumental band, through ‘beat’ pop group and psychedelia, to progressive rock.. The lingering “surf band” tag linked them with Sydney’s northern beaches surf culture. In reality, they established their major fan base on Sydney’s university and college dance circuit, and with the ‘hippy’ audiences at inner city underground venues like the Mandala Theatre in Darlinghurst, The Arts Factory and the Beacon Theatre in Newtown. Tamam Shud continued to tour solidly during 1971, playing the Melbourne club and dance circuit and touring Adelaide, Melbourne, Sydney and Brisbane over the last four months of the year. They recorded several live performances for ABC TV’s GTK, and one of these tracks, America, was released on CD in 1994 on The GTK Tapes Vol. 1. The “Morning of the Earth” film and soundtrack album were a huge success both in Australia and internationally, especially in renowned surfing locations. Despite the record receiving no radio airplay whatsoever, the LP charted in May 1972, and eventually went triple gold, becoming the first locally-made soundtrack to sell in such quantities. To the delight of fans old and new, Tamam Shud reformed in 1994 with the 4-piece line-up of Lindsay Bjerre, Tim Gaze, Peter Barron and Nigel Macara. They recorded a strong, energetic album of all-new material, Permanent Culture for Polydor, with songs by Bjerre and Gaze, and they undertook a national reunion tour, including TV appearances. 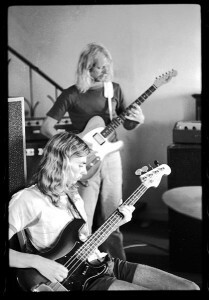 The first single, Stay (which features some scorching slide guitar by Gaze) was very well-received and had extensive national radio airplay, notably on 2JJJ; they made several, great live TV performances to promote it, including spots on The Doug Mulray Show and a blistering performance on the ABC’s Recovery. In 2002 Tamam Shud performed in the original “Long Way to the Top” national concert tour and “Live in Concert” recording. This recording achieved double platinum sales on DVD, platinum sales on video and gold sales for CD. In May 2006 the band were also part of the “Delightful Rain” project. A celebration of Australian surf music recorded in their home territory on Sydney’s northern beaches at Freshwater Surf Life Saving Club which was released as a CD and DVD. In 2016 the first all new Tamam Shud recording in over twenty years was released. The “Eight years of Moonlight” LP/Download is a collection of all Lindsay Bjerre compositions. It is the culmination of eight years of creation, development and work by Lindsay Bjerre and the band members in collaboration with John Cobbin and Maryanne Slavich at Moonlight Studios in Sydney, hence the album title. The 2016 Tamam Shud band members performing on this recording were the same core personnel that originally came together in the early seventies in the “ Morning of the Earth” era and again in the 90’s for “ Permanent Culture” . Lindsay Bjerre- vocals, guitar, Tim Gaze- guitar, vocals, Peter Barron- bass, Nigel Macara – drums. With a nice touch of irony, “Eight years of Moonlight “ was released as a limited edition vinyl LP record which includes a free download of all tracks plus a bonus track. The first new Tamam Shud vinyl LP produced since the bands inclusion on the “ Morning of the Earth” soundtrack LP over 40 years previously. There are still a few copies of this limited edition recording available. Tamam Shud are excited and proud to announce the release of their new recording to coincide with live performances in late 2018 and during 2019 and beyond. This new work is titled “Resonate” and features ten new tracks and one re-recording of a previous track recorded live for the “Delightful Rain” movie soundtrack in 2006. This collection of eleven tracks on “Resonate” are penned by Lindsay Bjerre and will initially be released as limited edition of CD’s incorporating a download card. In traditional, ground breaking and explorative Tamam Shud fashion “Resonate” is a complete departure in musical style, recording and performance from “ Eight Years of Moonlight” and indeed any previous Tamam Shud recording. 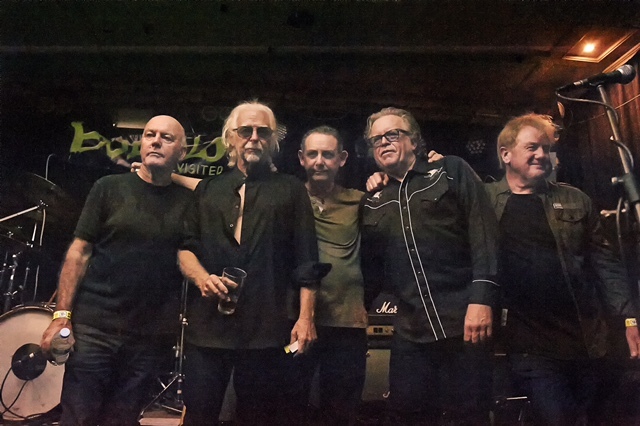 The current Tamam Shud line-up features original and new members and with the addition of keyboards for the first time gives the band a depth, energy and richness which enormously enhances their traditional two guitar, bass and drums line-up.